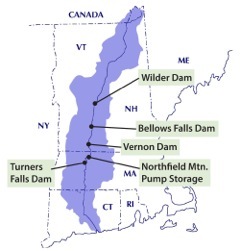 The hydropower relicensing process continues for the Wilder, Bellows Falls, Vernon, and Turners Falls Dams and the Northfield Mountain Pumped Storage Station along the Connecticut River. Here’s the status of the process. Additional agency and stakeholder meetings were held with Great River Hydro on December 17. Stakeholders and GRH agreed that it would be useful to consolidate species and life stage habitat curves for the many species examined. GRH is working to achieve this by consolidating based on curve shape and seasonality. The goal of these ongoing meetings, from GRH’s perspective, is to identify alternative operational scenarios that would improve habitat over existing condition for the new license period. Many of the stakeholders involved in this process are Federal employees who have, until recently, been unable to work because of the government shut down. Subsequently, no additional meetings are currently scheduled regarding Study 9. Great River Hydro submitted their required Progress Reports for Studies 9 (Instream Flow), 24 (Dwarf Wedgemussel and Co-Occurring Mussel), and 33 (Cultural and Historic Resources) on November 13, 2018. Their next progress report on these studies will be due on or about February 13, and then again every 90 days until final study reports are submitted. GRH does not have an estimated filing date for addenda to Study 9 Instream Flow or Study 24 Dwarf Wedgemussel and Co-Occurring Mussels. The Vernon Hydroelectric Project is certified by the Low Impact Hydropower Institute. Certification was supposed to expire on December 15, 2018, but it has been extended until June 30, 2019. 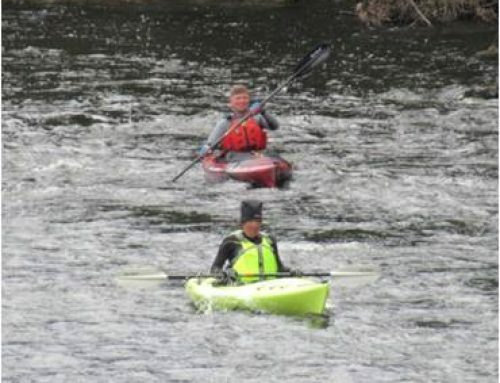 CRC has provided our recreation survey results to FERC and Great River Hydro. Great River Hydro has not yet responded to our request for a meeting. 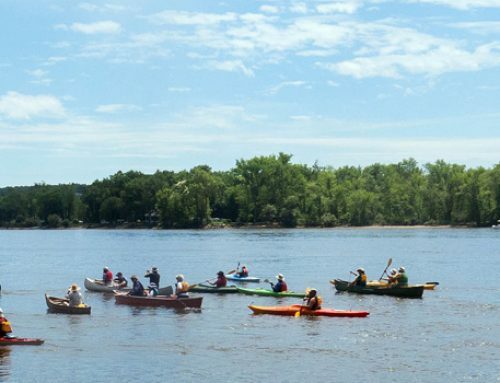 We are currently developing a document with recommended recreation enhancements for all five project areas that we can use in discussions with the power companies, or in our comments to FERC. Once the final Study Reports for Studies 9 and 24 are submitted there will be an opportunity to comment on those. When those studies are completed, FERC will commence the “post-filing” process. FERC has not indicated a date for Great River Hydro to file an amended license application at this point, but they have developed a process plan for FirstLight which indicates that an amended final license application will be required at some point after July 2019. We expect the deadline for Great River Hydro’s amended license application will likely occur around the same time as FirstLight. In a surprise move, FirstLight filed a request with FERC in December to transfer each of the licenses of their facilities into separate, new limited liability corporations (LLCs). 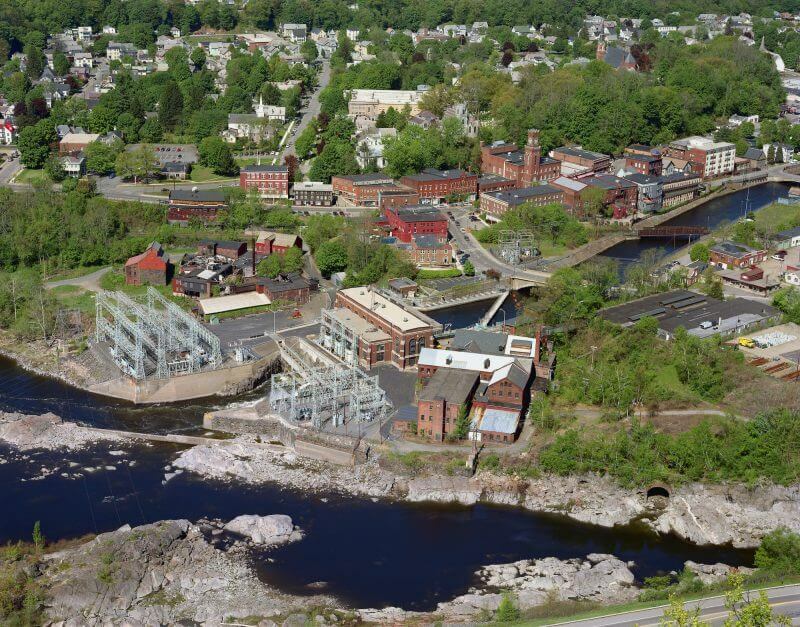 Turners Falls Dam would be owned by “FirstLight MA Hydro LLC,” a subsidiary of three layers of corporations under the Canadian owner PSP Investments. Northfield Mountain would be owned by “Northfield Mountain LLC,” a subsidiary of six layers of corporations under PSP Investments. Though FirstLight’s Final License Application dated 2016 stated an intention to merge the two facilities into a single project number, the license transfer request indicates FirstLight will no longer be seeking that. At the same time, FirstLight petitioned FERC to grant certain waivers and blanket approvals, and stated that they will file as Exempt Wholesale Generators (EWGs), a process by which each LLC would be exempt from requirements that would allow FERC access to company books. CRC and other stakeholders are very concerned about this move. 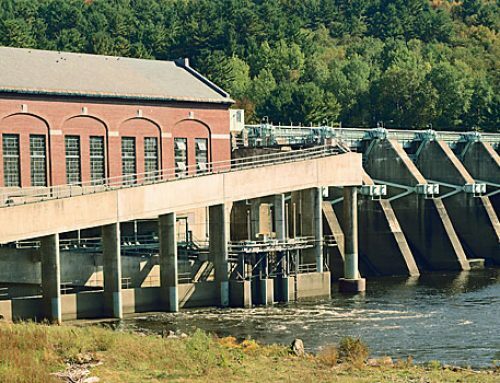 We believe this corporate restructuring will, among other things, limit the environmental mitigation options and lengthen the timeline for improvements at Turners Falls Dam, if the dam is operated as its own LLC. We are in active discussions with our state, federal, and NGO partners, preparing motions and comments for the February 7 deadline. FERC, which was not affected by the government shutdown, issued a determination on January 22, 2019. 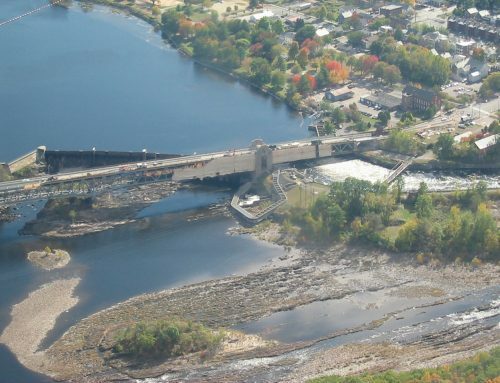 FERC is recommending that FirstLight expand its mussel assessment to include project effects on yellow lampmussel in reach 4 (the section of river below the confluence with the Deerfield River to the Sunderland Bridge). FERC rejected requests by MA Division of Fisheries and Wildlife, U.S. Fish and Wildlife Service, and National Marine Fisheries Service that the Northfield Mountain ichthyoplankton entrainment study include an analysis of multiple years. FERC also rejected CRC’s request for an alternatives analysis on mitigation options for Northfield Mountain. Meetings and discussions among settlement stakeholders and FirstLight have paused during a negotiation stalemate and the government shutdown.